what shall i wear today. | escaped. what shall i wear today. 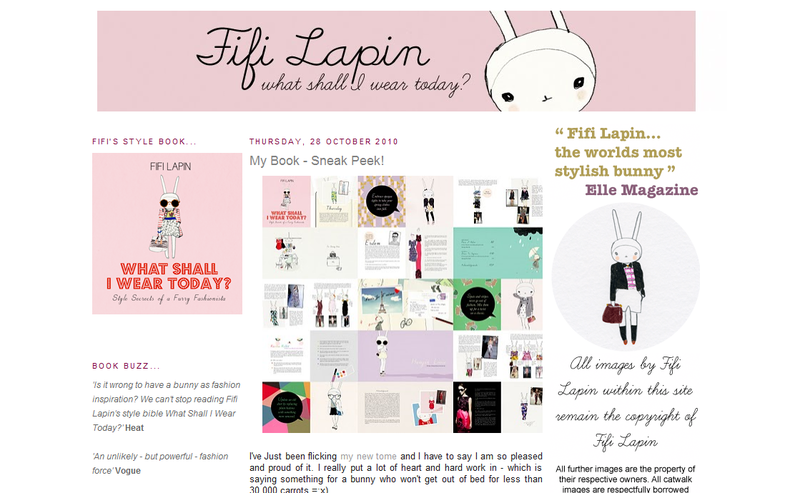 Fifi Lapin's new book. Been waiting since last week and it's finally here! I've been following her blog since I spotted her LeSportsac line (LeSportsac is everywhere here, but unfortunately here it's famous among the elders, not the youngsters I don't know why) and she has Topshop line too! 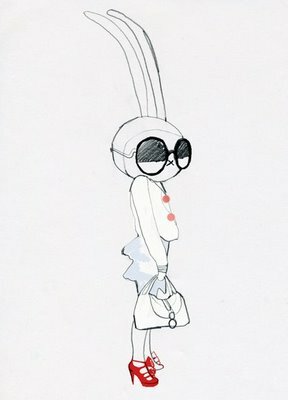 What's there not to love a stylish bunny with amazing drawing talent? 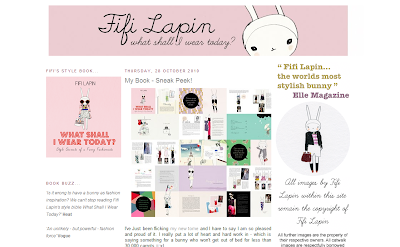 Fifi Lapin's blog. Go check out her blog, you'd love it too! Honestly, as much as I love her fashion sense, I admire her drawings more. Check out her blog, and you'd know why. Her writings are simple, very interesting (reading her blog is like reading a story book - she refers herself as a bunny, duh, so the story revolves around a bunny with a good fashion sense in a bunny's world) and most importantly, not cliché. That's why I was looking forward to reading her style book - What Shall I Wear Today. Haven't read it yet, but I've skimmed through the pages - the pictures. Are. Awesome. I love her drawings so much. My favorite of all, it reminds me of Victoria Beckham. I wish I have half her talent. Sigh. 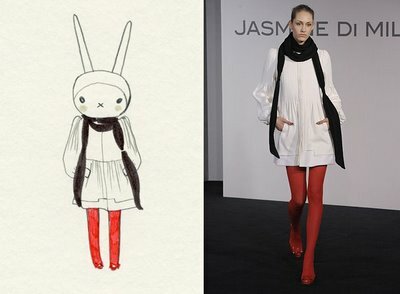 Disclaimer : all the drawings are copyrights of http://fifi-lapin.blogspot.com. I AM DYING TO GET THAT BOOK YOU CRAZY ORANGE ! ! ! sigh. you always one step ahead ! haha dont worry, go place your order dekat amazon! MPH already stocked them no? You know aight Malaysia is late in everything especially this fashion thing ! ! grr ! My paypal buat hal time nak order, nak grab those pins sekali , okay mad mode ON ! haha tulah..sabar2! :) want me to order and pos to you?